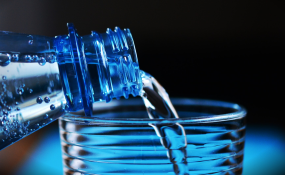 Beaufort West could run out of emergency bottled water "within the next day", according to a communication officer for the municipality. In a letter written to disaster relief organisation Gift of the Givers, Marlene Hendricks says the municipality now has 700 2l bottles of water, meant for emergencies, left in their Essop Emergency Storage room. The storage room at the Karoo Recreational Hall was completely empty after a peak festive season, Hendricks said. "This is a direct result of the low reservoir levels in [the] town over the past months that caused the municipality to have to distribute the emergency water that was donated by Gift of the Givers for Day Zero and emergency cases," she said. Provincial local government department spokesperson James-Brent Styan, however, said they were not aware of any pressing water issues in the Beaufort West municipality. "Information from our specialists on the ground is that the towns currently have a sufficient supply of piped water," said Styan. Hendricks, though, said the situation was now dire and that the town was now dependent, albeit to a limited capacity, on the reclamation plant for water. Gift of the Givers confirmed that they had received the request and that a truck was being sent to the municipality. Last week, Gift of the Givers was called on to assist the Kannaland municipality with water donations. News24 reported that the request was due to the municipality having only "21 days of water supply left", according to CEO Imtiaz Sooliman. Meanwhile, the local government department has appealed to towns in the Karoo to reduce their consumption as far as possible. Communities are recommended to lower consumption to 50l per day and local councils should apply stricter water restrictions. Styan said that these towns had not relied on surface water, such as dams, for a number of years. "Beaufort West has relied on underground water for the past few years and uses reservoirs and reclamation plant for water."